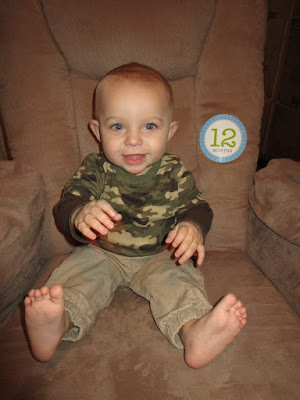 Hudson's Trials and Triumphs : Hudson's First Birthday! -rolls both ways! Woot woot! It took him quite awhile to be able to roll back to stomach. -says dada and nana and every now and then it sounds like mama too! -waves for hi and bye! It is the cutest wave ever! I will have to record him sometime! -he loves to stand and play. He recently thinks he doesn't need to hold onto anything while standing which results in him falling over. -Hudson just started taking steps if you hold his hands. We have no doubt he will be cruising along furniture whenever he is ready. Hudson is working so hard at PT and OT. We are so thankful for our therapists. They give us lots of tips and tricks to work on with Hudson and he loves to be "rough housed" and practice all his therapy moves. a hearing test, lab work to follow up from surgery, his 1 year check up with the pediatrician, and then our monthly renal appointment at the end of the month. -since surgery last week he's lost some weight. Please pray he would be able to gain that lost weight back and then some more. -for Hudson's core muscles to continue to strengthen especially since having another surgery. 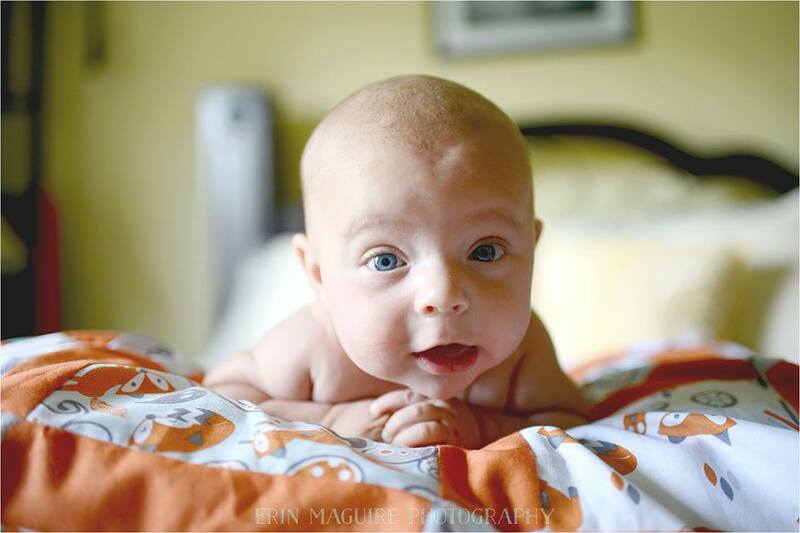 He needs to continue to strengthen his core so he can transition from sitting to crawling or kneeling to standing/cruising. 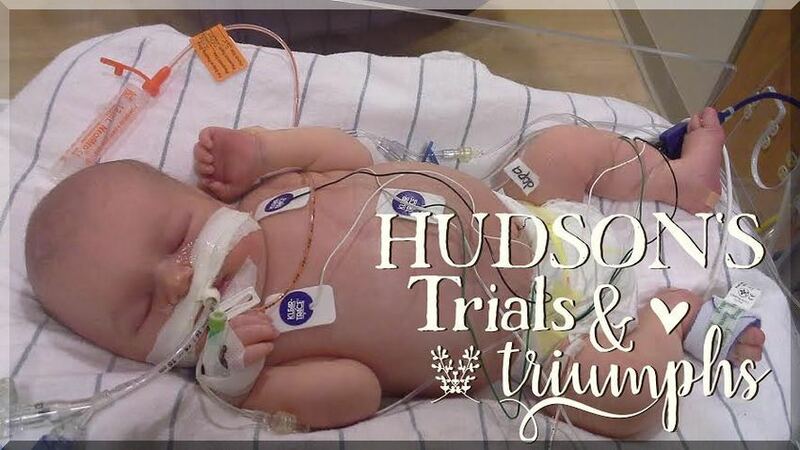 Thank you for taking the time to follow along on Hudson's journey of trials and triumphs! We appreciate the prayers! We are so thankful for all of you!